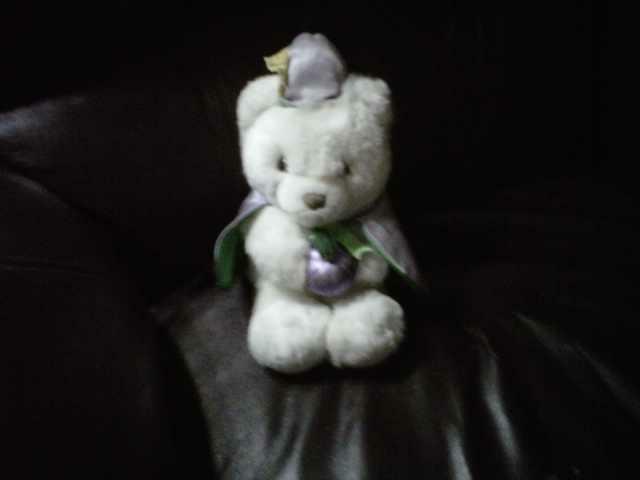 Twenty-odd years ago, my mom bought me a little white wizard bear at an after-Christmas sale. When I joined Zumaya Publications, he/she became our unofficial mascot. Now, we’re going to make the bear our OFFICIAL mascot, but he/she needs a name. So, for the next month, until ArmadilloCon 33 in August here in Austin, send us your suggestions for what to name the bear. If your name is chosen, we’ll send you a new Kindle loaded with Zumaya ebooks and some other cool swag or a terrific computer attache full of signed Zumaya paperbacks—your choice. We’ll give prizes to the nine runners-up, too. Send your suggestion to zumayaebooks@gmail.com; please include your address with your entry. Entries will be judged by a panel of Zumaya authors and the winner announced on August 28th. You may enter as often as you like, but you must be 13 years old or more to enter. Sorry–legal stuff. And Zumaya authors and their immediate families will have to forego the fun, too. I’ll make it up to y’all, I swear. Little fellow needs a name. Won't you help?